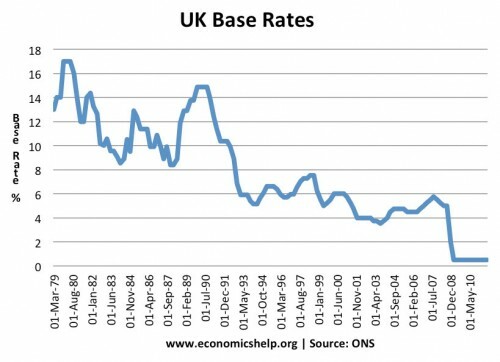 Home > Economics help blog > interest-rates > Are UK house price rises sustainable or are we heading for a crash? 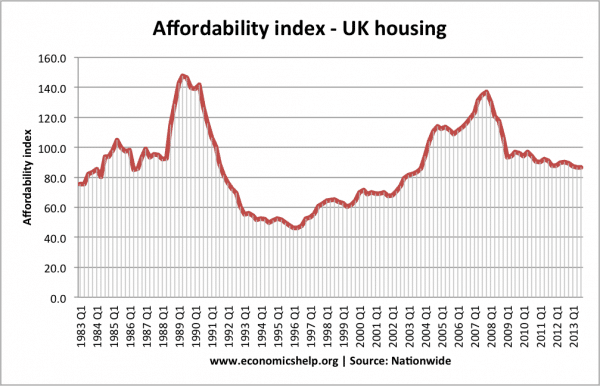 Are UK house price rises sustainable or are we heading for a crash? 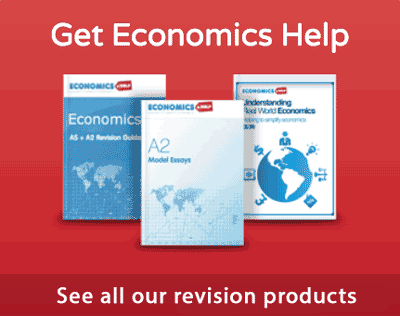 Readers comment on – House prices stats Excuse me for pointing out the obvious, but why are those ratios (House price to incomes) unsustainable if interest rates stay low? It’s the ratio of house-price-multiplied-by-interest-rate to earnings that determines affordability, not ratio of house price to earnings. If rates fall as prices rise, then the first ratio remains affordable. If earnings rise, the ratio remains affordable. Interest rates have been on a downward trend for 25 years and inflation has been tamed, there’s no reason for that trend to change.. 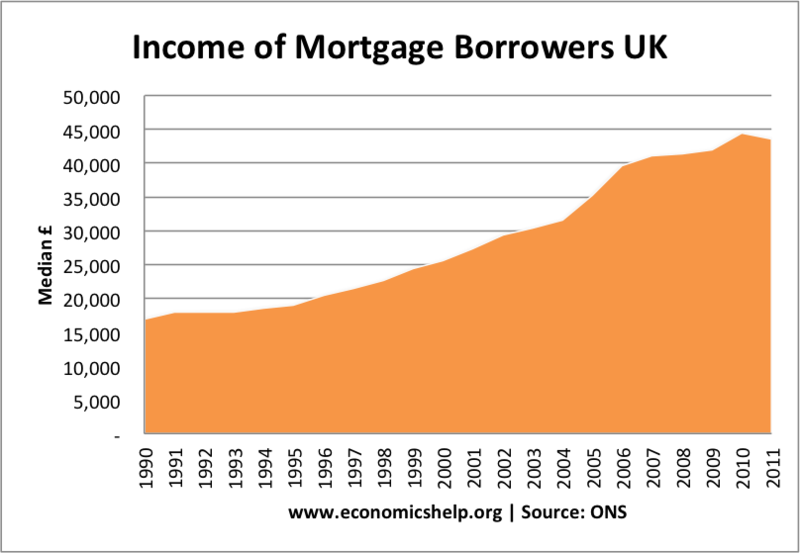 The cost of mortgage payments; (this depends on both the cost of buying a house and interest rates). The ratio of house price to earnings is not a reliable guide to the actual cost of housing because there are other factors we need to consider. We can see this by comparing two graphs which show house price to earnings. 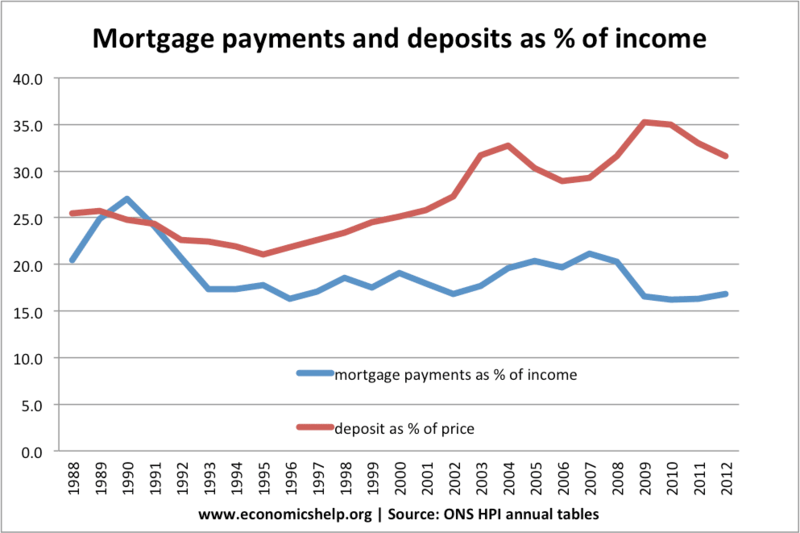 These two graphs show that we can have an improvement in affordability (fall in the cost of mortgage payments) even as house prices rise. 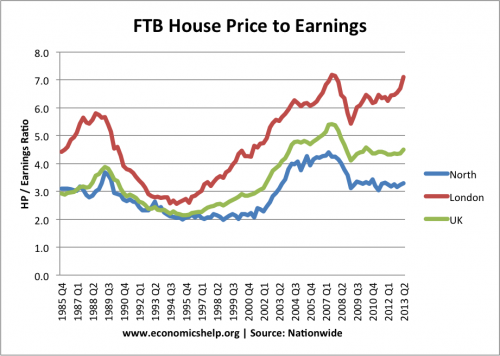 I agree that in the long term the sustainable ratio of house price to earnings can increase. 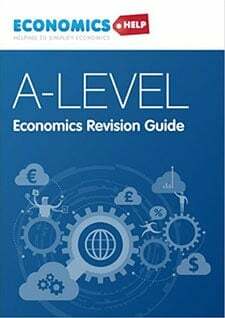 There is no law that the ratio of house price to earnings has to stay at (say 3). For example if we see a decade of lower interest rates and / or rising real incomes. Then house price to income ratios could increase. However, that doesn’t mean we should ignore a rapid increase in house price to earning ratios. Affordability has been increased by the significant fall in interest rates to 0.5% – Interest rates certainly can’t fall any further and are likely to increase. House prices are rising much faster than average earnings. Many first time buyers, struggle to raise the increased deposits required to buy a house. There is evidence that house prices are being pushed higher by investors rather than young buyers. The ratio of people renting is increasing. An increasingly small % of the population is able to get a mortgage. The median income of mortgage borrowers has nearly tripled since 1990. House price affordability has increased because interest rates are at record lows. 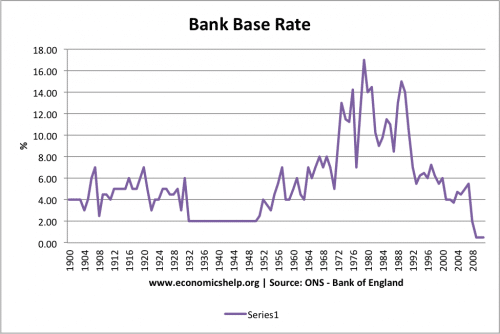 In the long term I cannot see a return to double digit interest rates that we saw in the 1980s and early 1990s. However, I do expect interest rates to increase above 0.5%. When the economy recovery becomes stronger, I would expect interest rates of 4%. Historically, we see real interest rates of 2%. If inflation stays on target of 2%, then the most likely long-term interest rate is around 4%. It is possible that the UK and Eurozone economies could replicate Japan ‘lost decade’ of deflationary pressures. In this case interest rates could stay at 0.5% for a decade. But, I would hope, this is still a reasonable chance we can escape this threat of prolonged deflation. Recent growth edging towards 2% a year is promising. The balance of probability suggests interest rates will rise by the end of 2014, or definitely in 2015. Hopefully, we will avoid a return to the boom and busts of the 1980s. An independent Bank of England is unlikely to be swayed by political pressures to go for growth and allow inflation to increase. 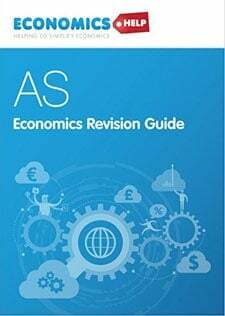 However, even with an independent Bank of England there is still the likelihood of some economic cycle – high growth creating some inflationary pressures, causing a rise in interest rates to pre-emptively reduce inflation. At the moment, there is still a lot of spare capacity in the UK economy. Unemployment is high. But, there is no guarantee this will always remain. Within one or two years, we could see strong growth and a rise in rates. Recent house price growth has not been matched by real income growth. Real incomes have been stagnant or even falling since 2008. This is a major reason to be concerned about the house price inflation of recent quarters. It simply isn’t matched by real income growth. 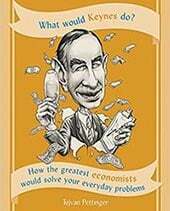 It is worth noting that in 2007, many commentators were believing that we had entered a new paradigm of sustainable economic growth, low interest rates and low inflation. The collapse in GDP, a few months later caught many by surprise. The point is that it is always hard to make long term predictions in economics (even short term can be hard). At the moment, I cannot see any threat of inflation, but it would be a mistake to assume that it is permanently finished. 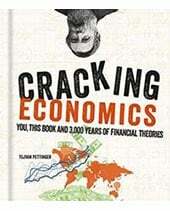 Perhaps we could experience cost-push inflation from rising commodities or even delayed effects of quantitative easing. If you want to try an unscientific empirical study, just ask a random selection of people in their 20s about whether they think it is realistic they will be able to buy a house where they live. The difficulty in buying a house is greater than at any time in the post-war period. There are some underlying factors that are pushing UK house prices higher. Relatively limited supply, strong demand from overseas and people buying second homes. There are good reasons why UK house prices are expensive. 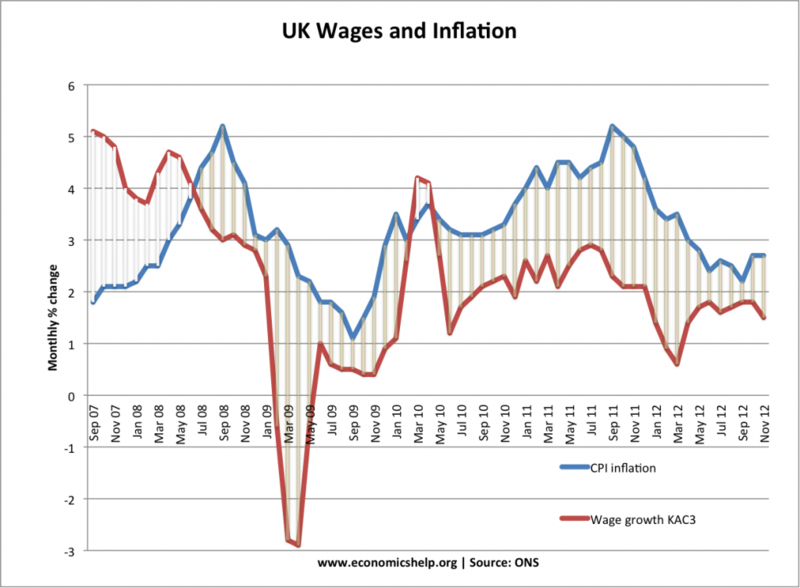 I believe the UK is in a period of relatively low inflation and interest rates. However, that doesn’t mean they will be stuck at 0.5% forever. Rising interest rates will have a big effect on the housing market and the cost of mortgages. Also, it is concerning that house prices continue to rise at a faster rate than incomes. 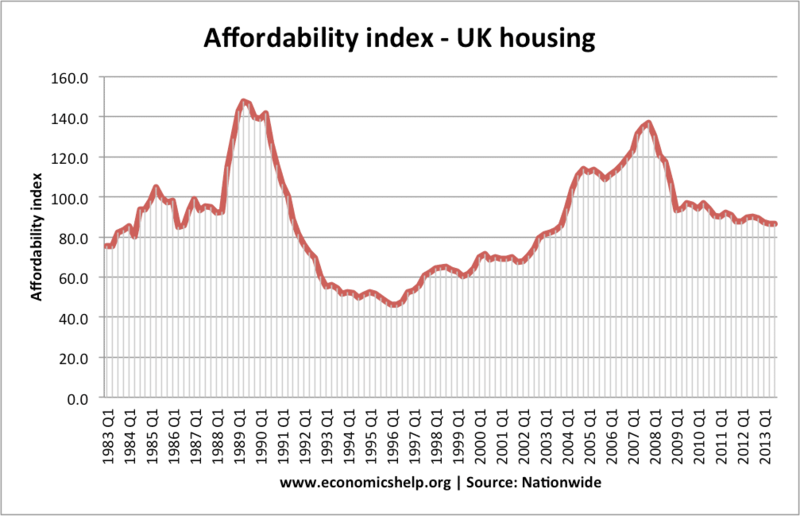 Although I believe there are strong fundamentals why UK house prices are expensive, at the same time they are becoming increasingly unaffordable. Any rise in interest rates could see some correction in house prices and a minor fall in prices. However, I don’t expect a crash in prices – there is no surplus supply. ← What happens when you destroy money?